Are you interested in starting a business in the United States of America? You may want to make extra money, create a new business model, build a business with your expertise, or build your own brand as you dreamed. Here are 10 tips for aspiring entrepreneurs who want to fulfill their dreams and aspirations to establish and run their own business. Invest your savings in the right place and the right business. It is always a good idea to review your strengths, expertise, time, and devotion to a business before starting your own. If you have friends or relatives who have a business, talk with them about business opportunities. Their personal experience and advice can help you take in the right direction and give you an idea about how and where to start a business. Talk with financial advisers and accountants and get their opinion. It is better to build your knowledge and expertise than to buy all the right equipment at the very beginning. Attend government approved business school classes and start educating yourself on the business. Read and understand all the gathered business material. Do not rush yourself. Do not buy any equipment or other material because you think you might need it in the future. Although it might make sense to buy more today and get a deal "just in case," it is far better to spend less today and use what you need. Make or write a business plan and show it to experts and ask them for their opinion, and if needed, take all the corrections. Once done look for similar businesses and observe them for some time. If possible go and work in them to get hands on experience. This experience can give you enough confidence to start a business, and also you get an opportunity to see the reality rather than just the imagination. Identify a location, talk with the landlord, get the lease information, and approach the concerned departments for licenses, permits, and approvals. Get the information for vendors or related professionals needed to run your business and talk with them to find the best prices and services. Approach the bank and apply for financial assistance for your business. 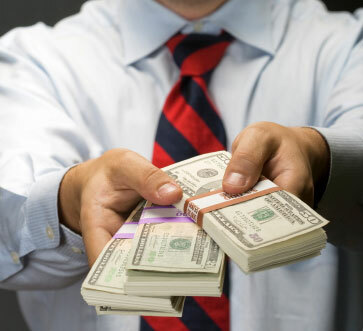 It is always a good idea to get a loan form the Small Business Administration (SBA) as they have lower interest and they also can provide occasional assistance. Many new business owners spend so much money on marketing and then wonder why they are not making any money. The reason is that there is no marketing and also no good customer service. For success a business needs excellent customer service, marketing, and to keep the business premises neat and safe with good visibility. Also, keep the right products to fit a neighborhood or the needs of an area. Positive cash flow is critical. Review your sales every day, weekly, and monthly and compare what the current sales and previous sales. Find out what increases sales. 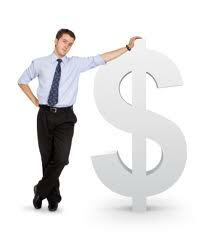 Finding ways to increase cash flow and taking the appropriate measures to increase the cash flow are highly critical. Sometime you may buy in bulk at a discounted price and sell at a lower price than your competitors. Customers love to buy from you and if you promote such deals it may increase turnover enormously and in turn that brings a positive cash flow. Sometimes you have to sell at a lesser margin to increase your sales volume. That certainly increases your cash flow, and also leads your business to be seen as an established business. Spend some time with your employees every day, train them properly, add incentives for them, and ask them for outstanding customer service. Display promotional signs and create a friendly environment for customers. Take out all expired items and make the premise clean and neat. When you sell your products to your customers, focus on what your products or services can do for them. Greet the customer politely and respect their feelings. Use the latest equipment possible as it is essential to track you sales so you have absolute control of the business. Pay your taxes and other fees accordingly and in a timely manner. Take advice from the bookkeeper. Send all your invoices, reports, and statement to your bookkeeper. Get your P&L quarterly and review the trends of the business. Reinvest some of the profits in your business. If you take your profits and spend it all on personal items you will do yourself a disservice. Your business needs to grow, evolve, and mature, and that requires some investment. Add new tools, etc. to the business that shows your business is the best. Finally, love what you do. No matter what, when, where, how, why you have started a business, you need to love what you do. If you want to know more about how to establish or start a business or have further questions about the requirements to start a business, please contact us at 415-234-8833 or help@bizworldusa.com and one of our approved third-party licensed professional consultants will contact you. Are you interested to start a business in the United States of America? Want to make extra money, or want to create a new business model, or want to built a business with your expertise, or have a dream to build your own brand business as you dreamed. Here, are the 10 tips for the aspiring entrepreneurs who want to fulfill their dreams and aspiration to establish and run their own business. Invest your savings in a right place and right business. It is always good idea to review your strength, expertise, time, devotion on the business before going to start a business. If you have friends or relatives, or who have business, sit with them and talk with them about the business opportunities. Their personal experience, advice certainly helps you take in the right direction and gives an idea about how and where to start a business. Well, talk with financial advisers and accountant and get their opinion. It is better, to built your knowledge and expertise, than to buy all the right equipment at the very beginning. Attend the government approved business school classes and start expertise yourself on the business. Read and understand all the gathered business material. Do not rush yourself. Do not buy any equipments and other material because you think you might need it in the future. Although, it make sense buying more today, as getting cheap in a deal may help "just in case", it is far better spent less today and use what you need. Make or write a business plan and show to the expertise and ask them for their opinion and if needed take all the corrections. Once, done look for the similar business and observe for some time and if possible go and work to get a real time experience. This experience gives enough confidence to start the business also you are getting an opportunity to see the reality than imagination. Identify the location, talk with Landlord, get the Lease, and Approach the concern departments for the licenses, permits and approvals. Get the information of vendors or related professional, need to run your business and talk with them and find the competent and best prices and services from them. Many new business owners who started a business spend so much money on marketing, and then wonder why they are not making any money. Reason is that there is no marketing, also no good customer service. For all success business, need an excellent customer service, marketing and keep the business premises neat and safe with better visibility. Also, keep the right products which need to that neighborhood or needs that area. For any, Business Positive Cash flow is critical. Review your sales every day, every week and monthly basis, and find out and compare what are the current sales and what are previous sales, what brings to increase sales. Find ways to increase cash flow is highly critical and take appropriate measure to increase the cash flow. Some time you may buy in bulk at a discounted price and sell less than your competitors. Customers love to buy from and if you look and promote such deals may increase turn over enormously and in turn that brings a positive cash flow. Sometimes you have to sell lesser margin to increase your sales volume that certainly increases your cash flow, also leads your business as established business. Spend every day some time with your employees; train them properly, add incentives to them ask them to make an outstanding customer service. Display promotional signs; create a friendly environment to the customers. Take out all expire items, make the premise Clean and Neat. When you sell to your products to your customers, focus on what your products or services can do for them. How much you are busy Greet the customer politely and respect their feelings. Use all possible latest equipment as they are essential to track you sales also you must have absolute control on the business. Pay your taxes and other accordingly and timely manner. Take advice from the Book keeper. Send all your invoices, reports and statement to your book keeper. Get your P&L every quarterly and review the trend of the business. Reinvest some of the profits for your business. If you take your profit and spend it all on whatever you want for your personal, you will do yourself a disservice. That is because your business needs to grow, evolve, and mature, and that requires some investments. Add new things, new tools, etc to the business that shows your business is best among all. Finally, love what you do. No matter what, when, where, how, why you have started a business, you need to love what you do. If you are interested, to know more about how to establish the business and business requirements, please contact us on 415-234-8833, or email us at help@bizworldusa.com, one of our approved third party Licensed Business Professional Consultant will contact you.